Results Week ending March 24th 2019 – Youths reach league cup final – Juniors bow out of cup. A late Dylan Singh goal saw Ballingarry through to the Division 1 league cup final where they will face Broadford United. 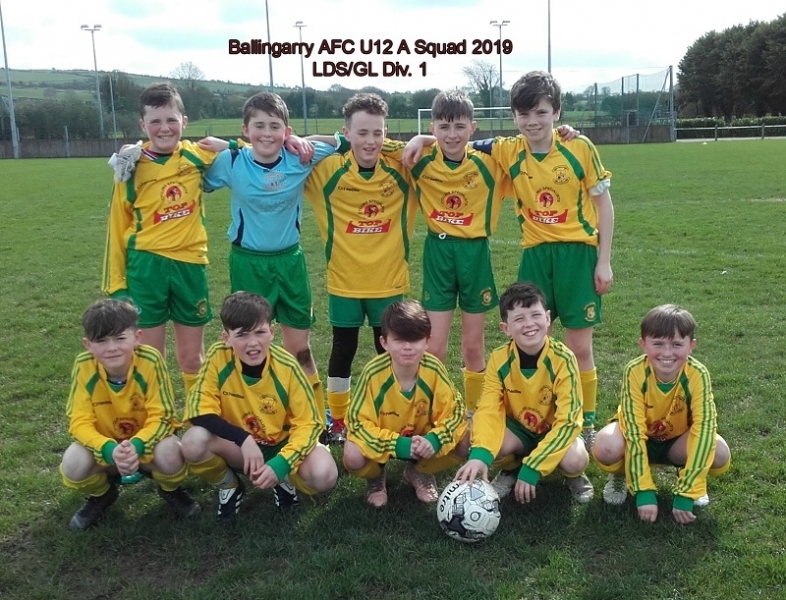 On Saturday 23rd March the U12 Boys were at home to Abbeyfeale United. The opposition started strongly putting pressure on the home back line. This didn’t last as Ballingarry took control and dominated large periods of the first half without creating any clear cut chances. The second half started in the same vein and the home side were rewarded with a goal after just two minutes from James Meehan. The quality of football being played was a joy to watch and appreciated by all the spectators. While Ballingarry created more chances they were unable to finish in the net due to in part some fine saves by the opposition keeper. Credit to Abbeyfeale who never gave up and got the equaliser with the last kick of the game to leave Ballingarry very disappointed boys after a tremendous display of football. The B team were in action straight after the A game. This time at home to local rivals Granagh United. In an even affair they found themselves 1 down after a converted free kick just outside the box. This setback spurred the Ballingarry lads into action and they were on top for the remainder of the first half with their superiority rewarded with a goal before the break from a corner which was deflected into the net. A second half strike saw Ballingarry bow out of the Desmond cup at Broadford. Team: O’Grady, Healy, Fitz, Quinlivan, Flynn, Moore, Forde, J O’Connor, A O’Connor, Smith, Laffan. Used Subs: O’Kelly, Quille, Ling, Cahill.